Katrina Creighton’s Mum and Dad came here in 1956. Her Dad, Harry, was from Abbeyleix in the midland part of Ireland, and her Mum, Molly (Clarke) was from Drogedha. Her brother Bobby came here first in 1955 when he was 18. He was on his way to Liverpool with a friend and his friend wanted to meet somebody here in Leicester, another friend. This friend said, “There’s loads of work in Leicester. Why don’t you stay here?” So he did. Bobby’s other sister, Marie, and girlfriend, Deidre, soon followed and they lived in a flat on Mere Rd. At the time there were notices up saying "No blacks, No dogs, No Irish". 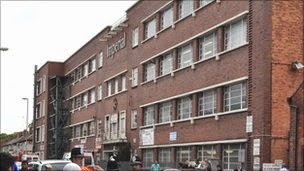 They all found jobs and Bobby worked for Frears biscuits and his sister worked for Imperial typewriters on East Park Rd. In 1955 Katrina’s parents decided to move here. She and her Mum arrived first while her dad stayed in Ireland to wind things up. They stayed with her Mum’s friend’s cousin who they’d not met before in a house near Frog Island. It was two up two down and she remembers it didn't have a bathroom. It had an outside courtyard containing a block of three toilets which was shared by all the other houses. She remembers a very large wooden toilet seat that was squared and they smelt awful! When her Dad arrived about a month later the family rented a bedsit on St Peter’s Rd. It was a large Victorian house. They had one room with two single beds, a table, a chair and a sideboard. They had to share the bathroom with three other sets of people. Medway School, St. Stephen's Rd. The next house was on Cottesmore Rd. It was cheap and disgusting. Katrina remembers it was damp, it had cockroaches and silverfish and the family had to go back to all sleeping in one room. It took them six months and several fumigations to make it habitable before it was fit to live in but resulted in her Mum having a breakdown. She changed schools again, this time to Sacred Heart on Mere Rd. She liked living on Cottesmore Rd; made friend with the local kids and the teachers at school were nice. Harry returned to Ireland in fifty-nine. He’d made enough money to set up a business and he lives in Ichicore and celebrated his eightieth birthday last October. Katrina’s father first worked at the Post Office and then he was a cobbler so he probably went to work in a shoe factory. He was the first one in the country to set up a “Heel Bar” in Lewis’. He was possibly working for Steadman’s. He worked for them and they asked him to do it. He did key cutting as well which was a new thing. She remembers him going down to London to set one up. “Name Wrafter” to see how many Wrafters were out there. She has around one hundred and forty in Canada, America, Australia. Coming to Leicester was very different. Katrina worked at Imperial Typewriters too when she first left school in the correspondence office, making the tea and taking the post out. In terms of anti-Irish feeling she remembers..
We're now also on Twitter: follow me on @irishleicester or join The Irish in Leicester group on Facebook. Click here to view a map of The Irish in Leicester. He remembers it was pretty rough at the time. “I’d been over here about six months in the digs like and I come back from work one night and Mrs Glenser says to me “I’ve got a friend come over, he’d be company for ya, cos I was the only body that was in the house like. I walked in and there was this other chap there and he was from Dublin, Paddy McCormack.” So John knew him ever since he come over as well. Paddy was in the digs for nearly six months. He was a plumber by trade and he found a job in Enderby. When John first started he was working with a little building company in Blaby. When Paddy came over he was working in Enderby going around all over the Midlands doing pipe work. John changed jobs and went to the Gas Board, on Aylestone Rd and was there for about three or four months. The company was a small company called John Weekfields with only three or four employees. John stayed there for twenty nine years until his health went and he had to stop at fifty four. John met his wife, Christine Hyland, from Dublin, coming out of church in South Wigston. 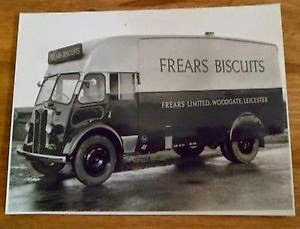 John's wife worked at, in South Wigston at Frear’s biscuits and they bought a house on Lothair Rd. "I had good times and bad times. I had some rough times over the years like, you know, with losing her and having 3 young kids to bring up; it wasn’t easy but lucky me mother was there for me, you know. And after when I lost the wife, twelve months after I lost me mother as well. So she went as well. I think cos they were very close actually. It was amazing how close they were and, em I lost her as well so I went through a very bad patch for about five years and, but for the sake of the kids you’ve got to carry on haven’t you?" John tells a very personal tale of the fallout from the Birmingham pub bombings…. 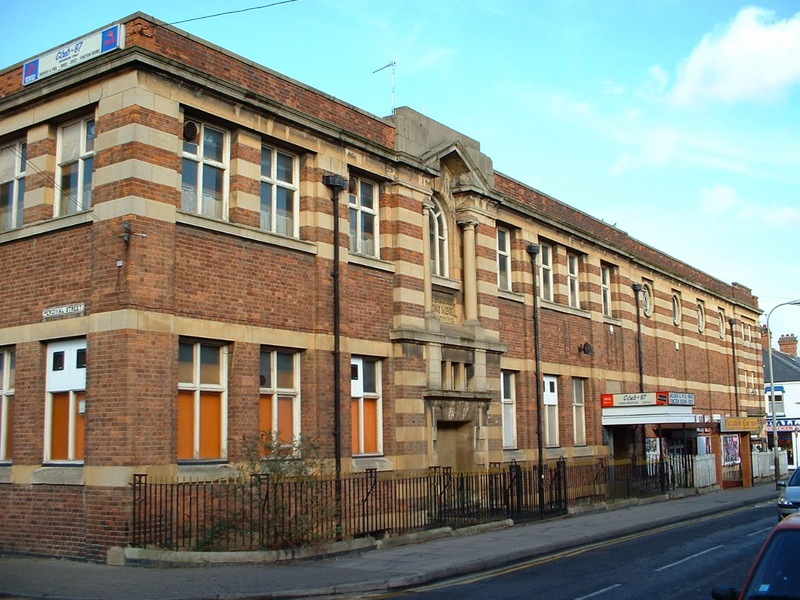 South Leicester Working Men's Club, Burnmoor St. I didn’t believe in that at all. I couldn’t, I never condoned that even when I was in Ireland. He said “That’s what probably, you know….” He said “Go home, forget it. “ So I went home. I had a couple off weeks off. He come back behind the bar again I just said Hello, the same as usual. So he had his pint, he come back and when he come up for the next pint he says “I’m sorry.” So I said “For what?” and he says "The way I spoke to you." And I says "that’s alright Bill" I says “I can understand, but I didn’t know what had gone on.” He says “Are we friends again?” and I says “Course you are” I says, you know. That really upset me really to be quite honest with ya because for a long time after that people would ask me where I come from and I wouldn’t, I wasn’t frightened but I wouldn’t say where I come from. But we were the best of friends again after that. Well I’ve enjoyed life in England even with the ups and downs. 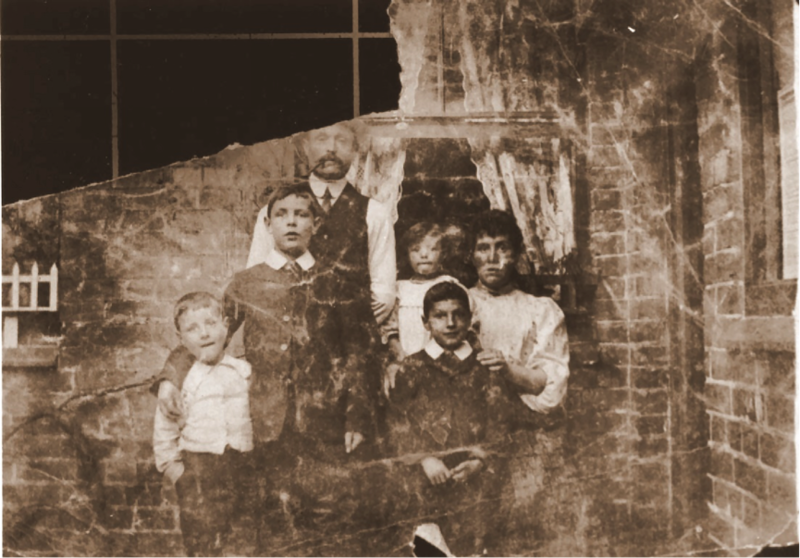 You’ve just got to get on with it"
"My grandfather, Thomas Geraghty (24th Feb 1867-1953) left from the townland of Gorteenacammdil (Gurcheen) near the village of Cloonfad on the borders of Mayo/Roscommon & Galway in Ireland (the nearest town is Ballyhaunis Co Mayo). This would have been around 1890 & he was bound for Leicester or a least he ended up here. 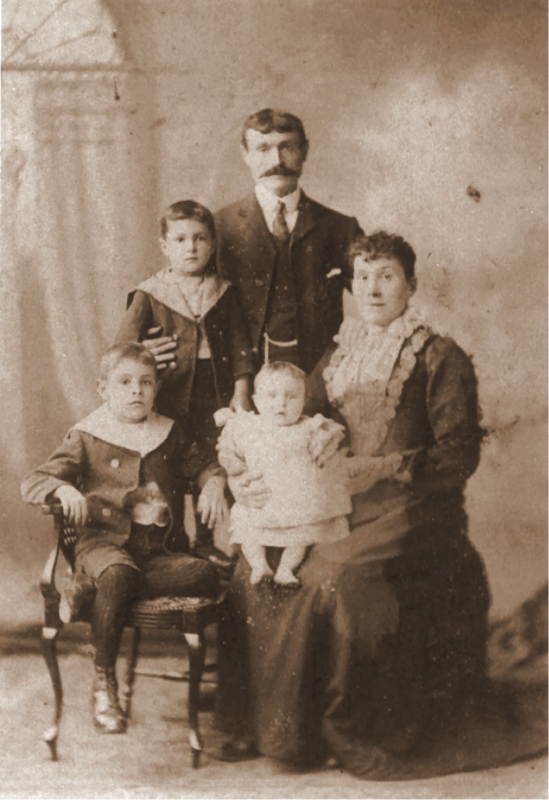 He was one of at least 5 children of Patrick & Bridget Geraghty (nee Kirrawn). His siblings were Mary c1854 (nee Hunt), John c1859 (who married Anne Regan), Catherine c1869 and Honor c 1870 (neither of whom we have been able to trace). I know for sure he had cousins in the nearby village of Garrenlahan/Granlahan in the townland of Spring Gardens, who in turn I believe were from Upper Clougher & Lower Clogher. All of these places are within a 3 mile radius of each other. 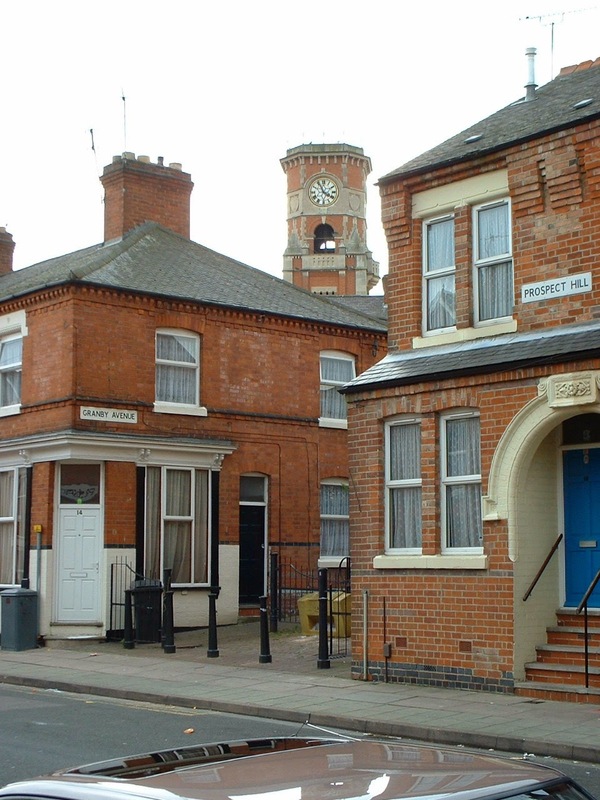 There is a record on the 1901 census of two Geraghtys, Patrick & Thomas, aged 24 & 26 respectively in accommodation on Baker St. in the Parish of St Margaret's, Leicester. They were together with other members of the Irish community although I am not sure of the relationship but would guess a cousins or possibly nephews. 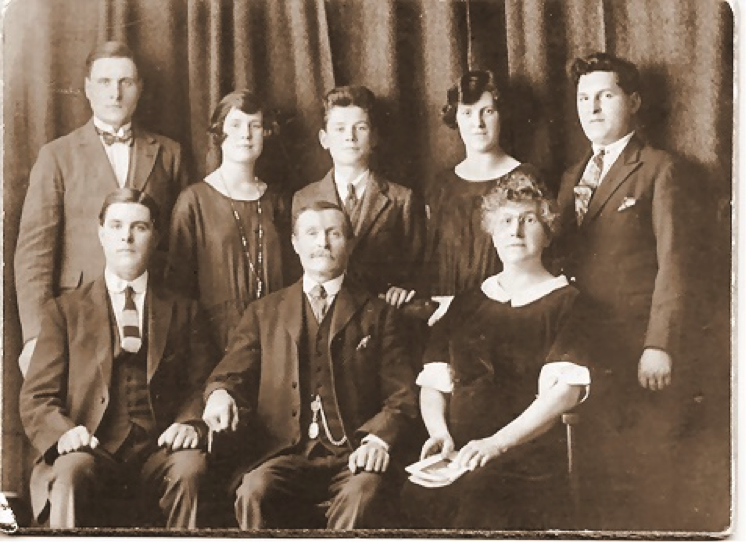 Otherwise all of his other nieces & nephews left Ireland in the 1920’s never to return with the exception of one. Similarly Thomas never ever returned to Ireland. By all accounts he was here for labouring work and may have had family connections here but not that I am aware of as such. I was led to believe that he was a navvy and that he worked for some time with a local firm by the name of H. Wheway. His wife's family, the Martins, had also migrated into the city & her parents were originally described as agricultural workers from Uppingham in Rutland. They were initially in the All Saints area of the city and subsequently moved to Western Rd & became involved in the worsted textile business - I presume from a home base, having a machine in the house which was still not uncommon in those days. Margaret (1867 -1947) Tom's wife to be, converted to become a Catholic and they married on Boxing Day 1898 at Holy Cross on New Walk. Leicester. 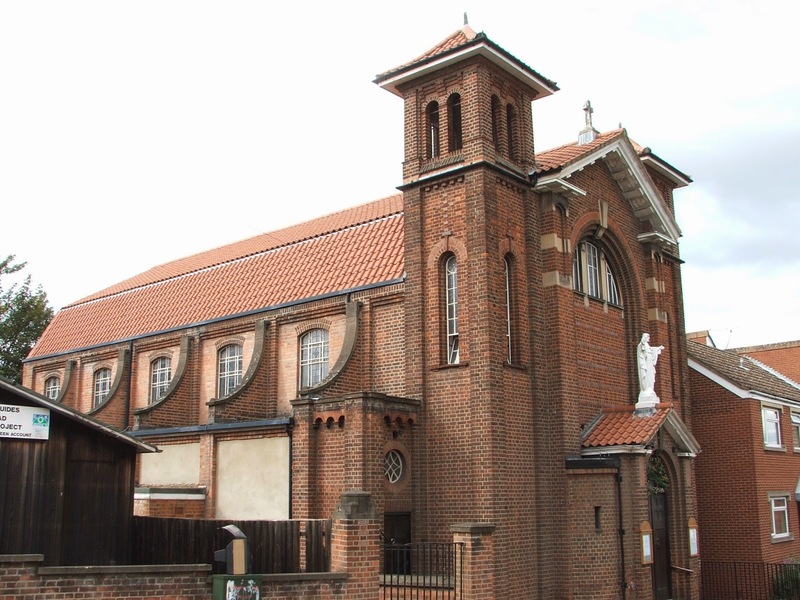 They initially lived on Andrews St. off Hinckley Rd; and started their family and I believe they would have attended St. Peters Church as I understand some of my elder cousins did also. Bernard, Percy Patrick & Cyril Martin c1905. Subsequently they moved to Woverton Rd,(no.110 or 112) off the Narborough Rd and the rest of the family were born and brought up in this area. 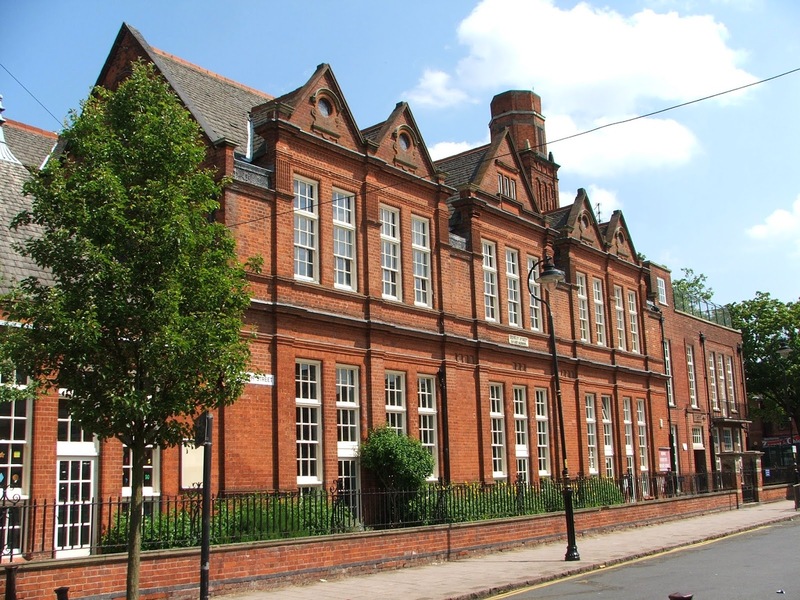 Most of their children would have attended the school on the corner of Narborough Rd/Upperton Rd. *John Alfred Geraghty 1910 (1910 - 1985) Military service/Clerk post war. Bk Row standing l-r Cyril, Kathleen, John, Norah & Percy. 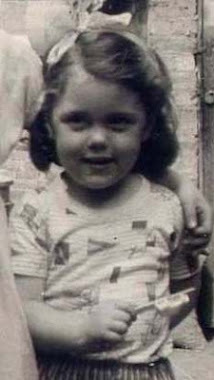 Margaret became the local "nurse" & I posted a picture of her in her "uniform" in the Leicester Mercury some years ago and was astonished at the number of people who recalled her "bringing them into the world" &/or "laying out their parents" ("hatch batch and dispatch" I think they referred to it as). 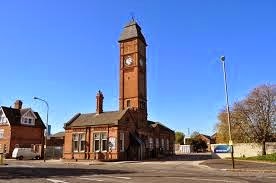 Incidentally, her sister, Selina Martin, ran the old post office on Braunstone Lane before the war and before the Braunstone Estate was built"
Whilst Thomas never returned to Ireland some of his sons, his daughter and indeed his English wife did make several trips to Spring Gardens (the family from Gorteenacammdil /Gurcheen by now either passed on or in Chicago). One of the nephews of my grandfather Thomas, did subsequently return to Gorteenacammadil and he too was another Thomas and I had the great privilege and pleasure of tracking his son, my 2nd cousin John and his family, down in the early 1980’s. Sadly he too is no longer with us. A recent request for information prompted me to ask the Irish in Leicester what they knew about a certain doctor…. "I have being searching for a doctor who lived and worked in Highfields in the 1940s who wrote a famous Irish song that was recorded by Bing Crosby". The response was fast …. "The song is Galway Bay. The name of the Doctor who wrote it was Arthur Colahan (not sure of the spelling). In fact there's a plaque on the wall of the old Prebend Hotel outside your old school. ( Collegiate Girls) Can't remember if it says old Artie wrote it there." "If you Google his name you will find his details are on Wikipedia. Fascinating man. He actually survived a mustard gas attack in World War 1. " And finally this amazing response from Austin Ruddy, Mr. Leicester at the Leicester Mercury…. IN HIS home town of Galway he lies in an unmarked grave, but in Leicester, where he lived for most of his working life, a blue memorial plaque proudly marks the site of his home in Prebend Street, off London Road. Arthur Colahan was a doctor, the plate on his London Road offices described him as a 'neurologist' and he worked most prominently for Leicester Prison and police service. But what made him famous was his hobby as a songwriter. For Arthur Colahan wrote many hit songs and sentimental ballads, mostly with the Irish touch, like Cade Ring and Macushla Mine. But his greatest hit was Galway Bay, sung still by Irish exiles everywhere around the world, but recorded and made famous by Bing Crosby. Legend has it that Colahan wrote the song in memory of a brother drowned in Galway Bay, and it did the rounds for years before a publisher heard Colahan singing it himself while on a trip home to Ireland from Leicester. Crosby's recording made it the best selling popular song in 1950, and scores of other performers recorded it too. But it remained the composer's own party piece at gatherings of family and friends. Arthur Colahan came from a medical family, and graduated in 1913. 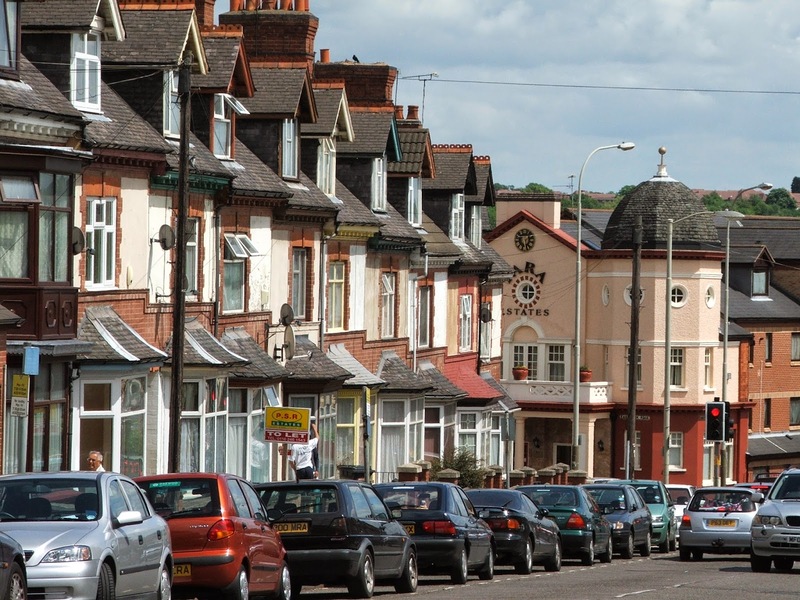 He served in the British Army Medical Corps in India during World War 1, and returned home to settle in Leicester, renting professional accommodation on London Road (now demolished and replaced with a bank) and remaining in the city for the rest of his life. Music was his greatest relaxation from the stresses of his work, and most of his hit songs were written in Leicester, where he died in September 1952, aged 67. 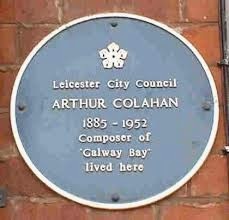 The sentimental evergreen popular song Galway Bay written in Leicester by famous Irish composer Dr. Arthur Colahan who died 50 years ago this month (as recalled recently on my page) has fond family associations for retired school teacher Mrs. Cecilia Teresa Upton (nee Lardner), of Whitwick. One reason is Dr. Colahan and his wife Maisin became Mrs. Upton’s godparents in 1930. Four years earlier the Colahans were staying at St. Joseph’s Guest House at Whitwick while visiting Mount St. Bernard Abbey. 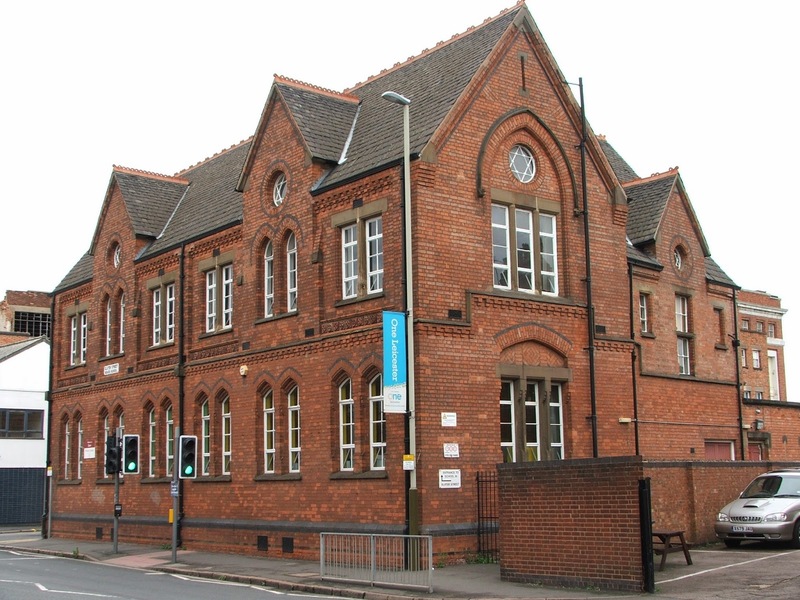 They happened to mention to a friend of Mrs. Upton’s parents they were looking for a young person to help out with some domestic duties and as a receptionist for patients who came to the surgery at their home in Prebend Street, Leicester. “The friend recommended my sister Mary, aged 14, who had recently left school and was unhappy working in a factory,’’ explains Mrs. Upton. Mary got the job, which proved a happy arrangement not least because she had a lovely singing voice. She would sing the new compositions as Dr Colahan wrote them. Not too long afterwards Mary’s sister Anne joined her at the Colahan home. Later when Mary eventually left there her sister Monica replaced her. “Dr. and Mrs. Colahan (who in later years separated) became good friends with my parents Tom and Mary Lardner who originated from Galway and lived in New Street, Whitwick. They often came over to visit on Sunday evenings,’’ continues Mrs. Upton. She was told they were very kind to her family when her little brother was tragically killed in a motorbus accident a few months before she was born. “My parents asked them to be my godparents and I was given Mrs. Colahan’s middle name Teresa,’’ says Mrs. Upton. When she was older she learnt how on the day of the christening the godparents’ late arrival caused considerable panic – particularly as they were bringing the christening robe and shawl. Eventually their car (which always caused a stir in 1930 Whitwick) was sighted as it approached 15 minutes before the christening started. They brought the robe and shawl carefully folded around a hotwater bottle – it being a chilly November day. Mrs. Upton remembers Dr. Colahan as a jolly man, but who was sometimes moody. She points out his full name was Arthur Nicholas Whistler Colahan – his third forename inspired by the American painter. At Mrs. Upton’s retirement from Whitwick’s Holy Cross School in 1990 a mock-up of the TV programme “This is Your Life” was staged. It included a rendering of the song Galway Bay which understandably proved very nostalgic especially with her sister Mary present. Mention on this page a few weeks ago of Dr. Arthur Colahan has prompted Arthur Bassett, of Leicester, to write to me about him. 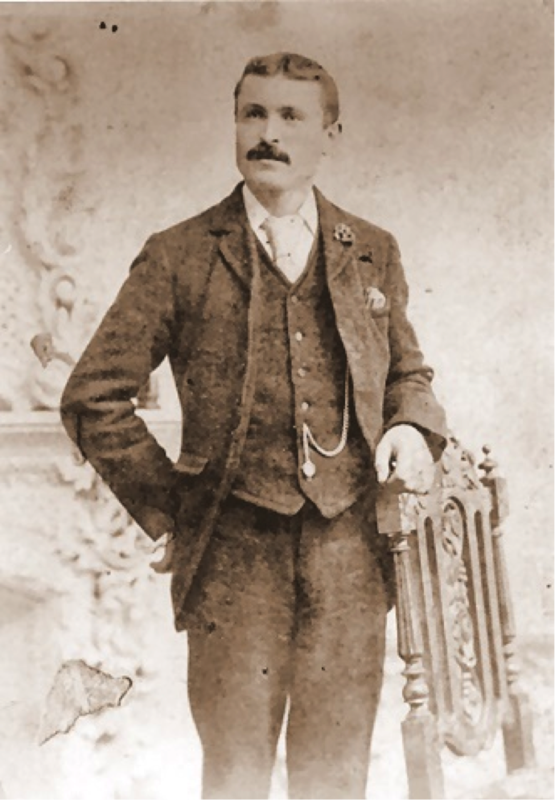 Mr. Bassett says: “Leicester City Council has not really done him justice with the blue plaque on the wall of his house in Prebend Street, because he was more than ‘the man who wrote the song Galway Bay’. “This song was published in 1942, but wasn’t popular until 1948 when Bing Crosby and many others recorded it. He says Dr. Colahan wrote several books on the subject. One of them – The Miracle of the Human Body, published by Odhams about 1950 – belongs to the widow of a friend of the doctor’s. The friend sent the photograph to the doctor at Christmas 1948. Mr. Bassett adds: “The photograph came with the sheet music of another of Dr Colahan’s songs, The Claddagh (wedding) Ring, which was published in 1946, but I can’t find a recording of it. So it may surprise you to learn that this evocative, well-known ditty was written in a city residential street by a doctor who cared for Leicester prison’s neurologically- impaired. Dr. Arthur Nicholas Whistler Colahan penned Galway Bay when he was living at 9 Prebend Street, Highfields. The imagery of this soporific standard couldn’t have been in greater contrast to the cold steel bars and high walls that he knew while walking the dim corridors of HMP Leicester. In 2002, the Leicester Mercury had the good fortune to speak with Cecilia Upton (nee Lardner), a retired teacher living in Whitwick. She revealed that in 1930, Dr. Colahan and his wife, Maisin, became her godparents. 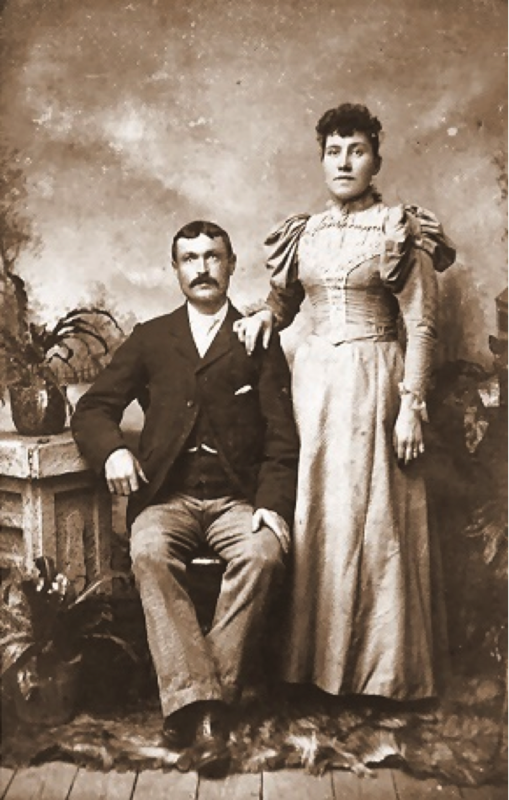 Significantly, Cecilia’s parents Tom and Mary Lardner, who lived in New Street, Whitwick, also heralded from Galway. 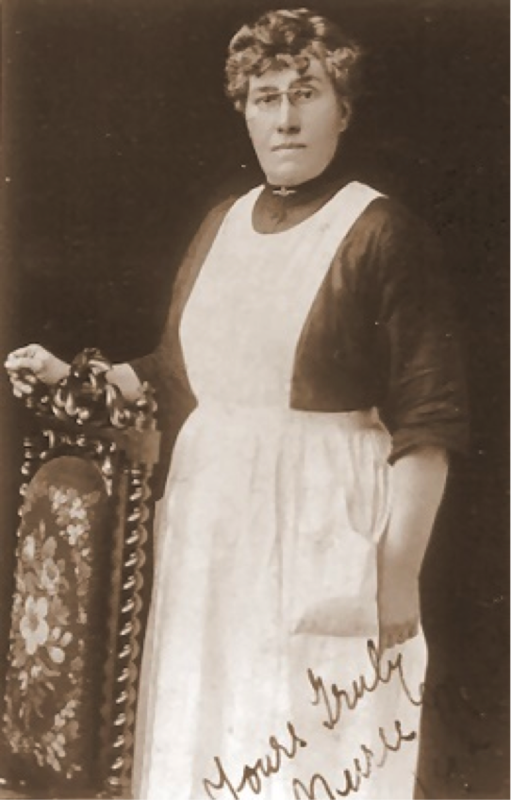 Mrs. Upton told us that when her sister, Mary, was 14 she went to work for the Colahans at their three-storey Victorian home and surgery in Leicester. It was there Mary carried out domestic duties and worked on reception. It just so happens that young Mary Lardner had a splendid singing voice and, as soon as Dr. Colahan penned something new, he would get this Leicestershire songbird to give it the once over. 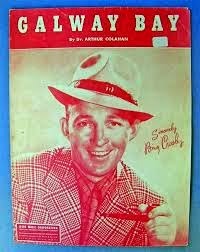 However, it wasn’t the Whitwick teenager who made Galway Bay a 1947 classic. That was down to the silken tonsils of crooners’ crooner Bing Crosby. Dr. Colahan, who was born in Enniskillen and had spent his formative years in Galway, died at home in Leicester on September 15, 1952. His body was to make the final journey back to Ireland’s west coast, where, today, his bones lie buried in an unmarked grave at Bohermore cemetery. In Leicester, we managed to go one better and erected a plaque to this musical man of medicine outside his city home. Huge thanks to everyone who responded to the call for help. 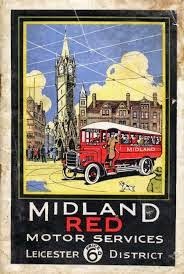 If you're interested in similar local history stories then join the fantastic Mr. Leicester group on Facebook for regular updates and stories about Leicester. Hi, my name is Lynda Callaghan and this is my blog. 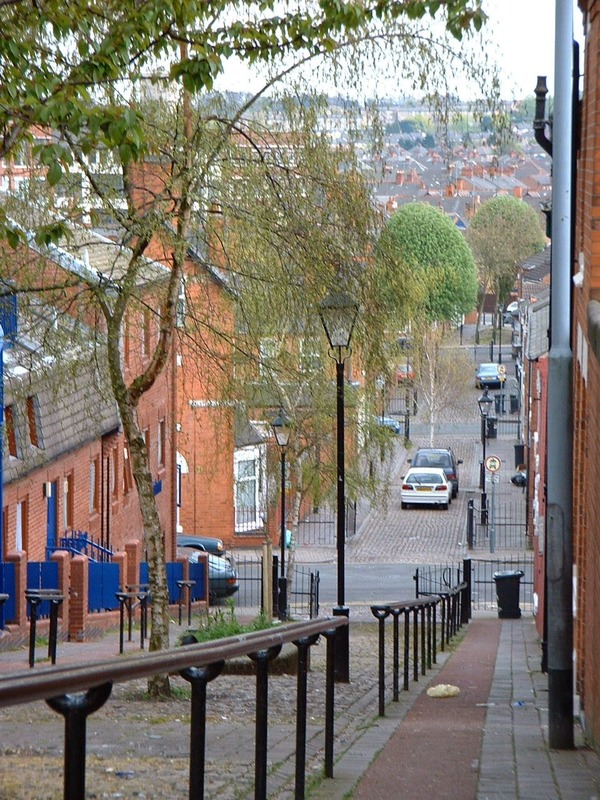 Over the past couple of years I have been investigating the links and connections that helped build the strong Irish community that now exists in Leicester. I've been finding out who, when and where so as to create an historical picture of the Irish in Leicester. However, I can't do it all on my own so how would you like to help? I need dates and places, pictures and memories - any information you'd like to share from your very own family story. Just how did you get to be here in Leicester? Read the stories here, click through to photos of our streets and houses and view the map to see where other Irish lived. If you'd like you and your family to be part of that bigger picture post your comments here or call The Emerald Centre on 0116 276 9186. Tirelessly supported by The Emerald Centre, Leicester.